Lancia were pioneers in their craft, being the first to create the two-stage carburetor, a transmission mounted directly to the engine, inline production of a V-6 engine, and more. They had the first hydraulic brakes in Europe, and they were tested on the Alps. Being the first meant that no one else at this time created cars the way Lancia did, making it that much harder to find parts. Restoring their cars is a labor of love and a big investment. Be prepared to spend time searching for parts that will bring their classic cars back to their original state. With any restoration of an automobile, it is important to understand what is original in the car and what is not. By verifying the parts according to the owner’s manual, you will have a better understanding of what you will want to replace. It is extremely likely that the Lancia manual will be in Italian. Be prepared for such an occasion. If the car does not come with a manual, try other resources like annual events that collectors and vendors will attend. Original Lancia automobiles are hard to obtain, but enthusiasts will likely have what you need. Find out the ownership history as well. You should ask previous owners of the car if you can have copies of the service records, so you know what kinds of issues the vehicle has experienced in the past. Also, find out the original manufacture and ownership. Some Lancia's were built in France. Checking the authenticity of the car will prepare you when the final product is completed, especially if you decide to sell. Gathering intel on the automobile will lay down the groundwork of the pieces that you need to put together before grabbing your first wrench. As mentioned before, Lancia was known for innovation especially when it came to their engines. This will probably be the most difficult thing to replace as they were the first to create V-4 and V-6 engines. If you happen to end up with a car with the parts fully intact, then you’re in luck. The biggest trouble you will have is cleaning the engine to get it back to its original state. If you happen to come across one of the later models, after Fiat took Lancia under their wing, you’ll find that many of the parts will be interchangeable among the models. It was common for Fiat to use Lancia parts in their cars and vice versa. This is also true when it comes to Chryslers in the 1980s. Many Lancia models were sold under the Chrysler brand in the 1980s. The biggest difference was which side had steering. Otherwise, Italian parts are costly. If you are restoring the automobile in the United States, you will find yourself importing some of the parts from Italy, adding to the cost of the part plus the Euro is worth more than the U.S. dollar which will also impact the final price. If you are lucky to find the part domestically, you are already ahead of the game. Consider hiring a professional who is well versed in finding foreign parts for classic cars. They may have connections you do not have. Cleaning the moving parts will also pose a challenge as European gasoline in the 1930s was not exactly the best. You will have to take the whole engine apart to ensure there is no build up in the valves and pumps. 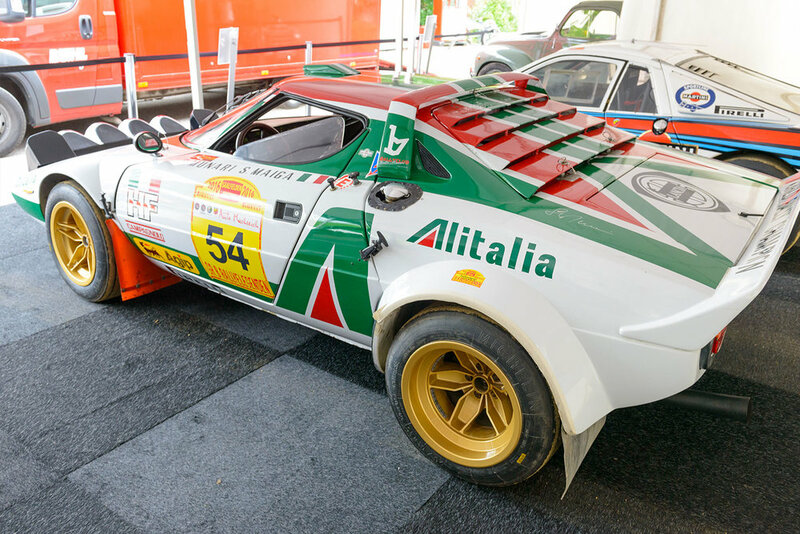 Most Italian cars like the Maserati and Lancia were not built for humid climates and are likely to rust. If you find a Lancia that has been sitting outside in Louisiana, you might not want to invest. The exterior has probably taken a serious hit, and you will be inundated with rust. It is almost impossible to remove rust without stripping the surface down. If the rust is horrible, then it would be best to find an alternative car to restore. Some models are scarce like the Lancia HPE Volumex where there are only 16 left. Many Lancia models were not produced for extended periods of time because they were costly to manufacture which is the reason Fiat took over in the first place. The Lancia family could no longer keep up the costs to build the cars. This is the same reason why Lancia automobiles are sold in Italy. Only enthusiasts are interested in the original cars. If you still decide to continue working on your dream Lancia automobile, you can have custom glass-fiber replica parts made which you can find in Germany. Consider welding any mounting holes in the rear tailgate for a smoother look. Lancia cars were not known for their interiors. They were fairly hard wearing except the seat material which was made out of cloth. This will probably be the simplest part of the restoration process. Lancia automobiles were known as cars that you drive, not cars that drive you. They were built for racing. Vincenzo Lancia, the founder of Lancia, was a driver himself, so he understood what a car needed to win. He built an exceptional car, and his legacy lived on for several decades after his death. It was not until recently that Fiat decided to leave the Lancia brand in Italy. It’s important not to take your Lancia to just any auto shop. Experts, like those at Autosprint, should only handle restoring your automobile. It is your investment. Take it to someone who understands classic cars and will give you the best advice. If you have any questions regarding Lancia or cars in general, contact us today!